Seventy percent of UK viewers aren’t satisfied with the TV and video content they currently have access to, despite spending an average of £47 per month on TV, movie and video subscription services. 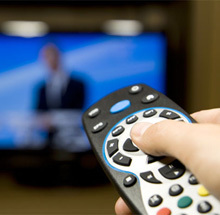 This is according to research by Amdocs, which found that in order to access the TV shows, films and live sports they want to watch on a regular basis, viewers believe they would need to increase the amount they’re currently spending up to £74 (€84) per month or £888 per year. “We are in a golden age of content, with massive investment in original programming and new ways to consume it. But customers are still having to jump between TV applications and content providers to find the programming they want,” says Amdocs CMO, Gary Miles. Amdocs found that the average UK consumer uses two TV subscription services, with 68% of UK respondents claiming they would be prepared to pay for a single provider that could package all their preferred content in a dedicated bundle. Some 64% said that they would be happy to ditch their current providers if this type of ‘perfect content bundle’ was available. The research is based on a survey, conducted by Vanson Bourne, which sampled 1,000 UK viewers to gauge their attitudes towards TV subscription services, payments, and advertising. Amdocs is a provider of software and services to communications and media companies.